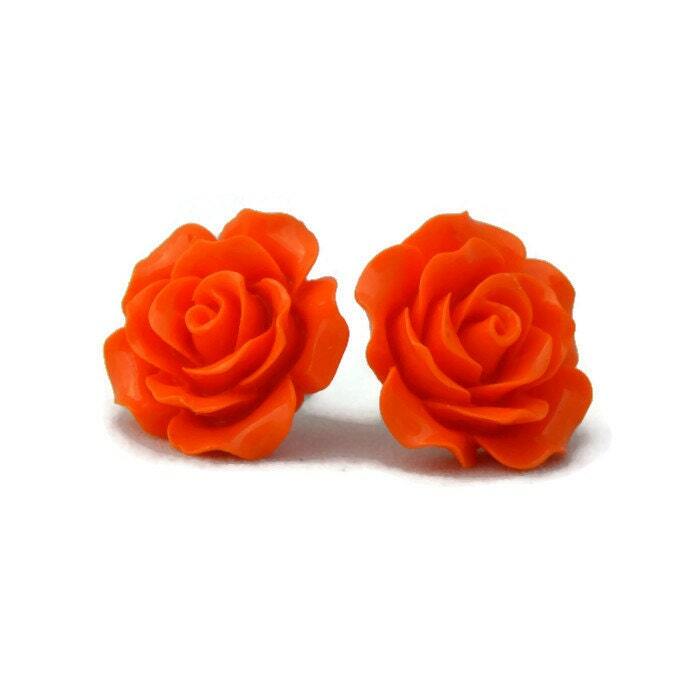 These orange rose earrings are large and sure to get noticed. 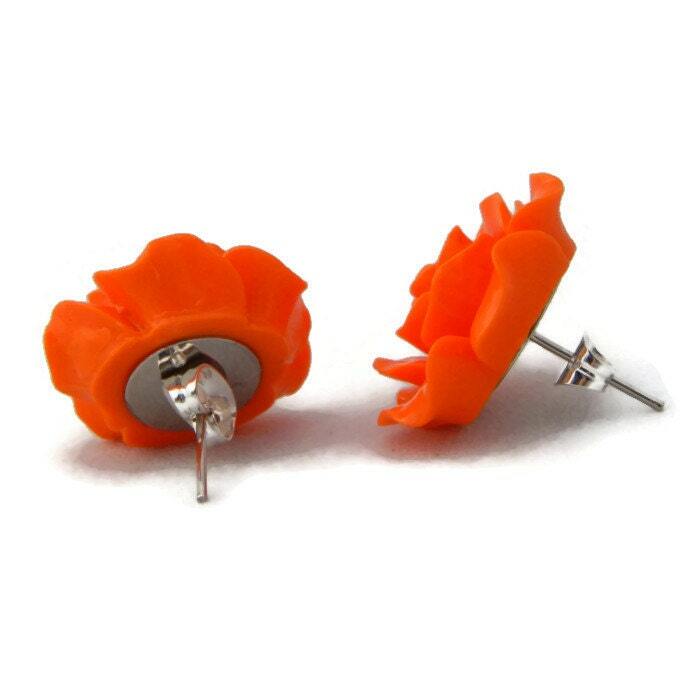 The resin rose design is perfect for dressing up or down. 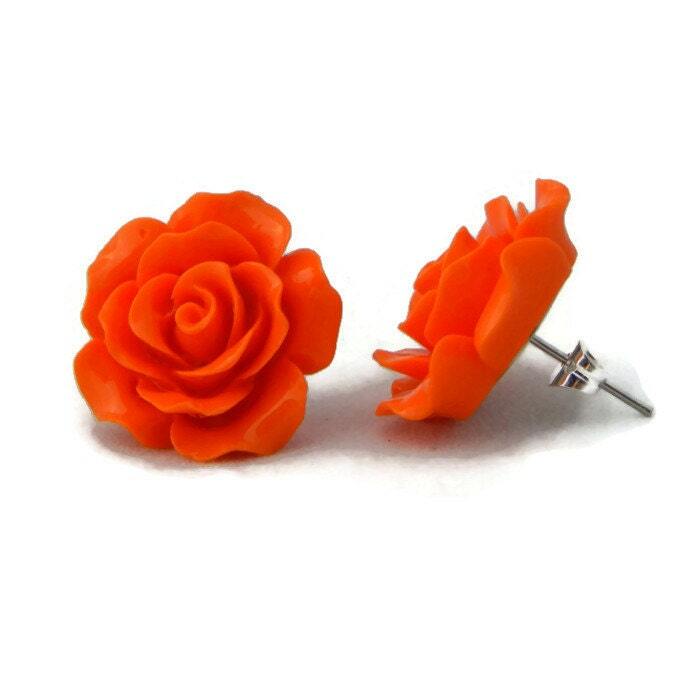 Each rose measures 20 mm and is secured to a nickel free stainless steel post. Love this product. It arrived quickly and in a great package that kept it safe.